Your bathroom may not be the most talked about room in a home, but that doesn’t mean that it can’t enjoy the same level of luxury that any other room is subject to! We spend more time in the bathroom each day then many people realize—from our morning routines, to taking a long, relaxing bath while reading a book—shouldn’t you enjoy that time? Kitchen Kreators Ltd. wants to bring a level of comfort, beauty and sophistication to your bathroom and we assure you that when we’re through, your bathroom will be someplace that truly lives up to the highest levels of quality. From the floor to the tub, the toilet to the cabinets, countertops and fixtures, we’ll do away with the old and usher in modernity that will truly evolve your home. With the right materials, innovative design, top-quality fixtures and an eye for superior workmanship, Kitchen Kreators Ltd. will transform your bathroom into a shining example of how cosmopolitan your home can really be. 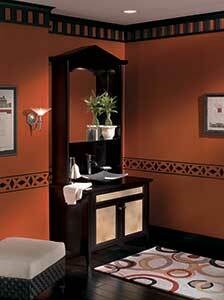 Want to better understand our approach to bathroom remodeling in Jackson, MS? 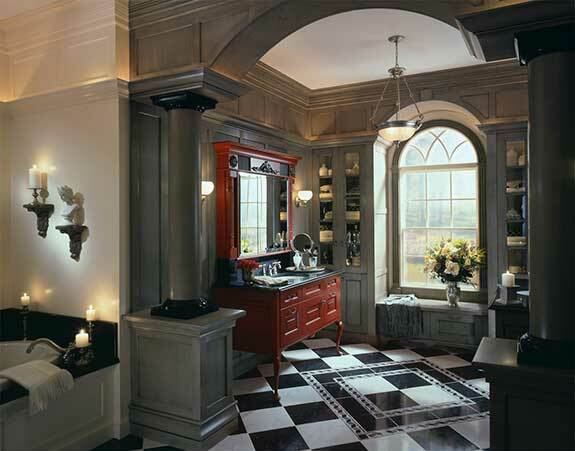 Stop on by our extensive bathroom remodeling showroom and see for yourself some of the amazing projects that we’ve put together. Whether you’re just browsing for ideas or want to see firsthand what you can expect from our designers, we’re always happy to accommodate you. Call us today at 601-977-9300 to schedule an appointment with an experienced designer and we’ll take you through the process of your remodel, giving you peace of mind in our capabilities and a sound estimate that you can take to the bank.